Welcome to my first blog post of the year! Since Valentine’s Day is right around the corner and as a single person, I think a lot about my ideal Valentine’s date (we all do it, don’t lie), I’d like to share some of my favorite downtown date night spots and activities. 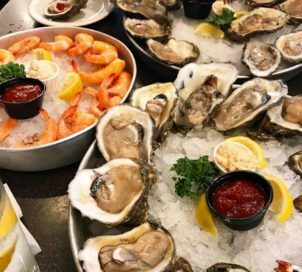 Whether your significant other is a foodie, artist or a lover of live music, you can find everything you’ll need downtown. Looking for a more eclectic experience for you and your partner? Stop by The Exchange for a fantastic 5 course meal this Valentine’s Day that includes a bottle of wine. This gastro pub uses local organic suppliers and has desire to create a unique experience that brings flavorful American fusion cuisine to the downtown area. This one-of-a-kind special will be hosted from 7 to 9 PM and is limited to only 30 couples so make your reservations today! K Space Contemporary is the oldest alternative art space in the Coastal Bend region and as such, is one of the must-see downtown galleries. Stop by during the day on Valentine’s day and show your loved one around the newest exhibit featuring artists from all around South Texas. The “Ctrl+A” show is a collaborative exhibition with San Antonio’s Presa House Gallery. Ctrl+A is the shortcut key for Select All and this exhibition gathers a diverse assortment of artists from Corpus Christi to San Antonio and Houston to Brownsville. The Art Museum of South Texas is currently presenting Retooled: Highlights from the Hechinger Collection. This collection shines a light on the exceptional subject of tools by profiling 28 inspirational artists from the Hechinger Collection. Have the perfect date by wondering by the more than 40 visionary pieces from categories including Objects of Beauty, Material Illusions, Instruments of Satire and Tools: An Extension of Self. The art lover in your life is sure to have the most wonderful time. 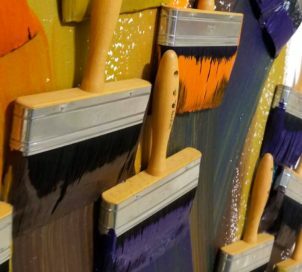 If you don’t have time to stop by either of these exhibits, make sure to go to Treehouse Art Collective and pick up something unique that is sure to make your artist’s heart soar! 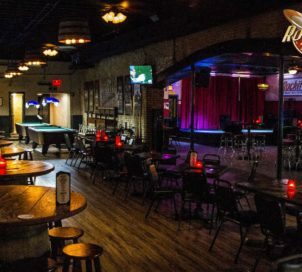 Rockit’s is known for its casual atmosphere and incredible live music. Take advantage of their No Cover Thursdays and treat the music lover in your life to a wonderful low-key night of whiskey, bar games and the musical stylings on Flat Broke. I don’t know about you, but when I think of the staple genre of romantic music, I think of jazz. Stop by Jazz Night at the Grandview Lounge at the top of the Best Western in downtown and treat your partner to some of the best views in Corpus Christi, a nice cocktail and some smooth jazz. 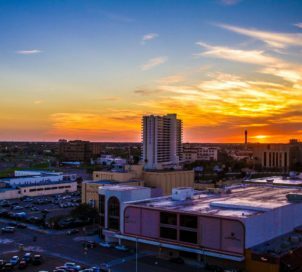 Whatever you decide to do, Downtown Corpus Christi has everything you’ll need to create the perfect date night. We can’t wait to see you down here!